In this episode, Griffin speaks to Hannah Johnson, Director of Operations for Vios Fertility Institute, which has branches in Chicago, Milwaukee, and St. Louis. With a deep background in practice management, Hannah’s the ideal candidate to discuss the joys and challenges that come with working with millennials, as employees and as patients. Hannah appreciates their passionate approach to their work and recognizes that whether we like it or not, practices have to adapt their processes to suit millennials. Find her on Instagram at @habejo. 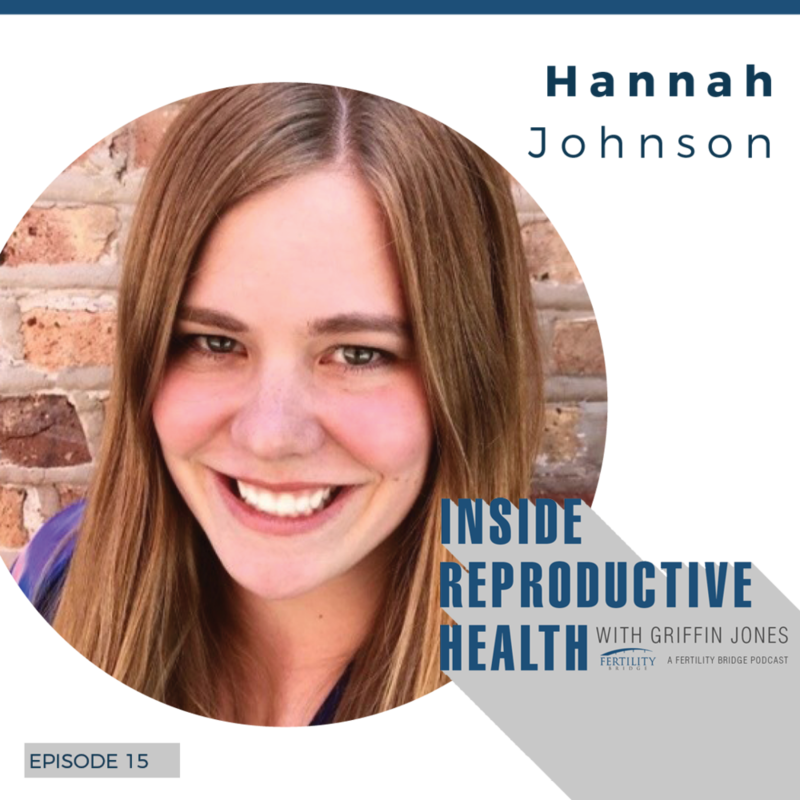 Griffin Jones: One of my closest friends in our field, Hannah Johnson is the Director of Operations for Vios Fertility Institute, which is in Chicago, Milwaukee, St. Louis. Hannah has been in all areas of practice management, from her early days in the andrology lab to clinical research to international marketing. She is extremely passionate about the patient experience, making sure that every patient leaves happy, receives individualized care. She enjoys babywearing, practicing yoga, and traveling the world, to exotic places like islands around Iceland that I’ve never heard of, with her husband and daughter. You can follow all of that on her Instagram @habejo. Hannah Beth Johnson, welcome to Inside Reproductive Health. Hannah Johnson: Thank you, Griffin! GJ: Are millennials ruining the field of fertility? Let’s start with that super loaded question and unpack it from there. HJ: Yeah. My answer is absolutely not. I think that millennials are making the field of infertility really exciting, both on the patient side and the employee side. I would completely, totally, entirely wholeheartedly say no. I think they are doing the opposite. GJ: In what ways are they making it better? GJ: Before we get into the employees, what do you mean that they’re willing to do more work? Like what kind of work? HJ: What I’ve noticed about millennial patients is that when we ask them to do things like complete their education modules, we use a program called EngagedMD. It’s online, they can do it at home, they can do it on their phone or iPad. But they’re willing to get it done. They get their consent signed because we provide it to them as a DocuSign. They’re willing to get their new patient paperwork completed because we provide it in a platform that’s easy for them to access on the go. I think that we’re finding if we present it to them in a way that’s easily accessible, they’re very willing to jump right in. The research is clear- patients that are willing to get that stuff done are patients that have better patient outcomes reported, better patient experience, they’re less likely to use the on-call after-hours phone, they’re more likely to have a positive relationship with staff. All around, it’s a positive when we’re able to give them the tools to complete their side of care. They need to be actively involved. Fertility is no longer something where we’re doing everything to them. They are partners in this process. GJ: That I can understand. Do you really feel that they’re more prepared? The millennial patient? HJ: I think they have… they come to us certainly with a greater degree of investigation than perhaps patients like ten years ago, five-ten years ago. One of the reasons is they have more access to information. That’s not really a knock on patients ten years ago, there’s more information on the internet, there are support groups, people are far more open and talking about their treatments, so they’re hearing about it in their friend circles, they’re seeing it online. That’s giving them opportunities to explore their options and learn more before they even walk through our doors. That gives them a different foundation and baseline to work with. Sometimes it’s challenging because the information isn’t always correct or relevant to them, but it does help us kind of form what our relationship is gonna be with them, and how we can communicate with them and interact with them. Because we can see what they’re actively involved in. GJ: By no means does any one person completely represent their generation or is defined by their generation, anymore than one person is completely defined by their nationality or their culture, but do you notice that in terms of broad, general patterns, differences in behavior in, say, many 44 year old patients versus a typical 29 year old patient? HJ: I think there’s a significant difference, especially in terms of how much we need to hand hold the process. We see all of our patients, who come to Vios, anyway, they are pretty engaged in the process pretty early on. It’s just how difficult is it to execute and what kind of burden does it add to their treatment. I think that using some of the technology and the patient portal and things that are a little less intuitive for our patients who are in the 40-45 age range. It’s not that they can’t or don’t, it’s just a little bit more cumbersome for them, and it might add an additional burden and stress to the process for them, as opposed to your 27, 28, 29-year-old patient. GJ: So millennial patients, doing their homework. What about millennial employees? HJ: millennial employees… they’re, like, my passion project. I love them. GJ: Even coming from the tech space, the marketing space, which is so “millennial” and hip and cool, in those respects, when you talk to even people who are just a few years older, they often say, I hate managing millennials, I can’t stand it. But you enjoy it? HJ. I do. I think we’ve done a really phenomenal job at hiring really passionate young people who want to be involved in growing something and building something, so perhaps that’s why my experience has been a little bit different because Vios is only three years old. And we still have a little bit of that startup vibe. We’ve grown really quickly, and in order to grow really quickly, we’ve had to get team members on board who are really passionate about what we’re doing. What I love about millennial employees that I work with and I manage is that almost all of them have some sort of very interesting, whether it’s a side hustle that they do or a passion project on the side, we’ve got people who volunteer really heavily, we have yoga instructors, we have women who sell products on the side, we have… one of our employees is a doula. We have this really interesting, diverse set of employees who have skills that they utilize outside of the workplace that, what we have found to be most successful, is to try to bring those skills back into Vios. So I think what happens, a lot of employers see these side projects, side hustles as a burden, from the ability to have an engaged employee. They’re thinking, well, they’re just thinking about whatever their other thing is, that’s their end game, that’s their end goal. What I find is that’s not exactly true. millennials just tend to have a variety of passions, and they want to fit them into their life however they can. What we’re trying to do is take those passions and see is there a way for them to apply that within the clinic. Are they passionate about yoga? Can they help us with a wellness initiative or a wellness clinic? Are they selling makeup or skincare products on the side? Why don’t we take that skill and have them help us sell our Vios vitamins in-house? There’s a lot of wonderful additional skill that might not be directly applicable to their role that shouldn’t be ignored. In order to grow a great clinic and adapt to the new patient population, and just adapt to society, you need to draw on those skills and use them whenever possible. GJ: I think as someone who is a millennial, but also as someone who employees millennials, you can get so much out of them. You can get so much out of them. What I’m hearing evidenced in how you’re relaying these thoughts, is you just know how to manage them. I think in the workforce in general, not just in our field, there has been a non-understanding of how to manage millennials. They are managed differently. I have some Gen-X team members. They’re less hands on. My breadth, my scope of generations isn’t so wide. Do you notice the difference in management style between the generations yourself? HJ: Absolutely. I love watching our organization grow and our culture change over time as we add new team members, and we have lots of different generations represented in our clinic. But they definitely have different expectations about what they want their day to look like and how they want to be utilized. And I think that’s where we’re constantly trying to refine that. Some of our Gen-Xers and maybe even those older than Gen X, they’re really keen on structure and following the guidelines of their job description. They want to know exactly how their day is gonna flow, and they wanna meet their expectations for the day-- they want to exceed those expectations. But they really want them to be outlined clearly. I think the millennial population, what works really well for us in terms of being a startup, is that they can kind of help support us in the chaos of a startup and the dynamic nature, the ever-changing nature of a startup. We can draw upon their skills to say, Hey, I need this project, we gotta get it done in two days, can you jump in and do it? They’ll jump in and do it. It’s a little harder for our older generation of employees to jump right in, thought that mentality and that spirit is infectious, so I have seen that kind of transfer over into all of our employees, which I think is awesome. GJ: What do you think it is that it’s a little bit harder for the team members that are a little bit older to jump in as quickly? HJ: I think because it oftentimes falls out of the scope of that structure of their day. If they’re used to, this is my checklist, these are the things I’m responsible for every day— when you pop in and say, I need you to do this, it takes a little bit to figure out how that fits into the structure of the day they had planned. It’s a little harder for them to pull out of that, and get into a project and go back into your day. GJ: An episode on managing millennials could be an episode in and of itself. I want to talk about some of the ways millennials are whack. And how you have to account for and manage it. I just look at every generation the same way I would with any culture, like a nationality, meaning there is a dominant culture pattern that might be common, but that does not mean that every single person in that group mirrors every single characteristic of that dominant culture. Maybe they mirror some, maybe they mirror very few. That’s true for every generation. There are also aspects that are positive, and what I perceive to be negative. And like any group, if you were to say to me, all Canadians are great, or all Canadians are bad, I’d say you probably don’t know enough. You probably haven’t had meaningful interactions with enough of any certain subgroup if you quickly think that. In what ways do you think millennials are whack— and I’ve got a few of my own— or ways that you need to watch for in either managing them or accounting for them on the patient side? HJ: Yeah. I don’t know if I’d say that they’re whack, maybe there are challenges or things to be mindful of. GJ: If we’re talking about dominant culture with my caveat that not everyone exhibits every aspect or even many characteristics of that dominant culture, but I think some are… what I would call really positive and others that I would definitely call negative. You don’t have to use the word whack. I’ll use that. GJ: You are a straight-up multitasker. Every time I talk to you, when I’m in your office, you’ve got your computer, you’ve got four windows, you’re on your phone, you’re talking to me, you’ve got Zoom for other people, you’re texting somebody… you’re a straight-up multitasker. HJ: *laughing* Yeah. Yeah, yeah. What is it… the jack of all trades, master of none? I think you have to find a way to take those varied interests and passions and just streamline them, give them focus. So you can appreciate that somebody has these different interests, but you can’t necessarily provide an environment where they can focus on all of them. And that’s okay. You can accept that that’s not necessarily feasible. If somebody’s really into fitness and you’re running a financial firm, it may not fit. But maybe you can offer them a space to do a workout class for your staff once a month. There are some creativity and flexibility that you need to allow yourself in order to keep those employees engaged. If these are things that they’re passionate about, you don’t want to be dismissive of them; if anything, and as frequently as possible, you want to utilize those skills to your best interest. It’s good for them- it keeps them engaged-- and it’s often something that can positively impact either your corporate culture or your actual work that you’re doing. GJ: I think one of the biggest challenges, one of the things that I’ll say are whack about our generation, that includes myself personally, is that I got out of college and I thought I’d make six figures. Nobody said that to me. This comes up from the… the narrative that we have of life is awesome, maybe watching too many teen movies where the kid graduates from college and then he just goes into corporate America and they value him for his ideas or something. I just envisioned that a couple of years and I’d be making six figures, for… I don’t know what I’m going to be doing to earn that or have that corporate value. I didn’t think about what the letters B through Y were, I could only see A and Z. I think one really big thing that practices need to do, employers need to do, parents, as a society, is to reset expectations and help reset expectation. Because a lot of the time, as I said, they’re not necessarily rooted in this cemented thing of, someone taught me this or explicitly said… I just came to the expectation. You mentioned showing a career path, whether it’s career or them as a patient or any other type of interaction with millennial, I think the resetting of expectations is critical, especially because when you[‘re operating a fertility clinic, you cannot get back to everyone about every single thing in ten seconds. And that is the expectation that so many millennial patients have. We manage different clinics’ social media, sometimes, and we’re getting messages on FB messenger, “Hey, I just called, I’m FB messaging now.” Then we get a message on Instagram, ”I just called I sent a FB message, now I’m sending another message.” How do you reset expectations for the employees and patients? HJ: I think I’m gonna touch on patients first, because it’s the one that’s the most challenging right now, and it’s gonna continue to be a huge challenge for clinics and healthcare providers in general, but fertility especially, because the relationship is so intimate. It's so intense for shorter periods of time. We’re not seeing them annually, we’re seeing them weekly or monthly or daily at times. We develop these really strong relationships with them, and I think a lot of times clinics are trying to adapt. They’ve got patient portals, there are really easy ways for patients to access us. But what’s easy for patients to forget, the last time they were in for a patient consult, with their physician in person, and the nurses are all working and they're going into rooms and talking to patients afterward, they’re not sitting at their computers waiting for your messages. I think what happens when we don’t take enough time in terms of setting expectations is helping patients understand what’s urgent and not urgent, so everyone thinks that… you can put a disclaimer that says non-urgent messages will be answered within a day, and urgent messages will be answered today. But every patient, their interpretation of urgency is different. And what kind of things you should call the office for, what kind of things you should call the on-call for, you can just send a message and just wait a minute. We all want that instant gratification, and that’s been supported through so much tech and apps on our phones and social media, but we also have real physical people doing the work and trying to provide really good care to the people who are there in person at the clinic. Then they have to come back to their online presence and their digital interactions with patients in between. I think it’s just helping patients understand and visualize it. And also presenting this information more than once. If you tell the patient at their initial appointment, “Let me do some communication expectation setting with you… this is blah blah blah,” you can’t expect them necessarily to remember all of that come two months later when they’re getting ready to start their IVF cycle. Reintroducing that idea, a lot of clinics have structured scheduling so they won’t do certain procedures at certain times of the day. Say, for example, OB ultrasound. A lot of clinics won’t do an OB ultrasound during morning monitoring hours, like the 7-10am range. It’s so interesting to see a patient who’s just transitioned from being a fertility patient, now they’re pregnant and now they’re coming in for OB visits, how quickly they forget what it was like to really need those timeslots for their monitoring because they were going to work late every day. Really just helping them understand, “Oh, remember, we talked about this, we don’t do OB ultrasounds until after XYZ time to allow as many timeslots for our patients who are in treatment.” It’s ok to gently remind people that they were just there. You don’t have to pretend that this person lives in a bubble by themselves. Every patient who walks through our doors, they are special and they are unique and we want to give them personalized care, but we have to do that in a context of a larger clinic and larger patient population. So you have to marry those two together. I think people have been worried about offending patients by saying there are other patients we have to worry about. You can do that in a sensitive way that reminds them that they’re part of a community, and in order for this to work and function correctly, we all have to do our part and respect the fact that things change over time. GJ: Everything that we’ve just talked about is mostly setup and foundation for what I want you to really talk about which is, our generational place in our field. Like, what our place is. And how millennials and other generations are coming of age and our relationship with each other as generations. And one of the reasons.. Maybe I can sum up where I wanna go with this thought in this concern that I have. One of the reasons why I wanted to call the episode, Are millennials Ruining the Fertility Field?, is that I think it’s the only way that I could spin this in a way that a lot of the baby boomer physicians and practice managers would actually listen to it. GJ: Here’s the… I think you can sum up the divide in this observation. millennials are going to listen to this episode and nod enthusiastically and be like, YES!, and really connect with it. I think the baby boomer physicians and practice managers-- many of them, not all-- are not really gonna care. HJ: Yeah, it’s gonna be like, Oh, there’s Griffin and Hannah again, those millennials talking about millennials. It’s a hard shift, and I think every generation struggles with this, as they go from entry level into management into directing over 20-30 years, every style kind of moves its way into the next sort of echelon of the structure of a company or organization. What we have to be really conscientious about is thinking how do we develop that over time, because what I notice is that some clinics are so stereotypical about millennials that they feel like they have to work really hard to fit the millennial within the structure of say a baby boomer or a gen X. In doing so, you’re preventing the opportunity to take some of their additional skills to help your clinic become better. No matter whether or not we like it, this is the way it’s going to be. Patients are not going to take paper from you. They’re not going to want paper charts. They’re going to want to communicate with us 24/7. It’s kind of how we figure out how to deal with that that will drive whether or not clinics are successful. I truly believe there’s going to be tons of mergers and acquisitions in the fertility space in the next 10 years because if you haven’t been thinking about this, you’re already kind of screwed. GJ: This is no small part of why the MNA is so crazy in our field right now because the retiring doctors do not have a successor. The reason why they don’t have a successor is becasue they're not set up for the things that we’ve talked about, whether it’s marketing or it’s practice culture. There’s a big frustration on both sides. There’s a real frustration. I talk to physicians who want to retire in the next…these people coming out of fellowship, they don’t want to take over my practice, so I have to sell equity to one of the networks because that’s their option. What I’m arguing is the reason why they don’t want to take it over is because it’s not set up for them at all. They have to redo everything in their way, and you’re going to fight them tooth and nail for those five years until you retire. It’s gonna cost the relationship, and they’re gonna end up leaving anyway, and you’re gonna have to sell it. HJ: Yep. I couldn’t agree more. I think that’s what the retiring physicians need to ask themselves. They need to ask themselves the question of do they want to leave a successful practice or do they want to leave a practice that’s been done the way they’ve always done it. That’s what they have to ask themselves. If you have a clinic that’s a little behind on the tech and the patient experience, you can still survive and thrive, and you can still finish out your career and have a really valuable company that you will hopefully be able to profit from. But you have to listen to these incoming physicians and you have to let them have a voice. They don’t know a lot, and they don’t know the medicine as well as the older docs, they have to learn the nuances of the protocols. That’s all stuff that the older physicians really want… they need to take that on and they need to teach. But they also need to accept that the incoming physicians know way more about digital marketing and social media and what incoming patients are going to want, and how they’re going to want to communicate. So marry those things together. Make this a mutually beneficial relationship. It’s like… help me help you. Do what you can do and what you’re good at, but let them do what they can do and what they’re good at, and marry those things together so you can grow your practice in the right direction and help it change and modernize. Otherwise, it’s not going to survive, becasue patients are finding their doctors in Instagram, they’re finding their doctors in these facebook support groups. They care about SART data, but they’re learning that SART data is really complicated to interpret, and it’s not always apples to apples, they learn that clinics are turning away patients, that means that their numbers look better. They’re getting savvy to this. The things that we used to think would drive most of our patients to come to us and how our patients would research us are changing so rapidly. What I hear from patients is they kind of expect us all to do well in getting them pregnant. That expectation is pretty solid. They don’t really care- if you have really good numbers, that’s great, but they expect you to do well at the pregnancy part. What they care about is getting treated well and being cared for and feeling like the staff knows them and loves them and cares about their journey. If you’re not focusing on that, you’re gonna fall flat on your face. GJ: Here’s the rub about ageism. Ageism is absolutely real. It’s every bit as real as sexism and racism, and maybe even more so because we don’t talk about-- we talk about those other things, but we don’t talk about ageism a lot. The rub about ageism is that it goes both ways. It goes both ways. Older people discriminate against younger people, and younger people discriminate against older people. Both unfairly. GJ: The rub is that if you’re in the older generation, you get to decide that first. And so for when we get the, Oh, there’s Griffin and Hannah, and there are our other friends who we really respect in our cohort, but guess what? We’re not 21 anymore. We’re in our mid-30s now. You run one of the fastest growing practices in the country. I own a company. And our friends are starting to do the same. And now we’re starting to make the decisions. And we’re starting to gain more of the talent pool. And for those people, I hope that you and I are more reflective on this, but I do start to hear now from our cohort that as we’re assuming power and influence, “Ah, that person or that practice or that group, that’s old, they don’t get it, they’re done.” And that’s costing them opportunities. And it’s the other shoe hitting the ground. And part of, like, you know, if for no other reason than self-interest, there’s value in investing in the younger culture. HJ: I think you talking about ageism going both ways is important; it’s very easy for the younger population to discount where we’ve come from. I think what’s really important for us is to look back on the history of this field and learn from it and understand our history. The story I always go to is sitting in this bar, I think it was in Montreal, with Dr. Beltsos who is my medical director and CEO, and Dr. Bill Schoolcraft-- Dr. Schoolcraft is a legend. There are protocols named after him, he has incredible success rates, and CCRM is a phenomenal network of clinics. He’s telling this story of the first time he grew embryos to blast. He got the media to grow them an extra couple of days from a friend in Australia, it came in this real janky, duct-taped styrofoam cooler. He had no idea if it was gonna work, and as he was telling this story, all I could think was, God, I wish I was recording this right now! These stories are so important for us to hear and for us to remember. This field is really, really dynamic and so much has happened in the last forty years since Louise Brown was born, the first IVF baby, and if we forget or we discount the previous thirty years, we’re doing ourselves such a disservice. While the technology may have been rudimentary and older and so much has happened in the last ten years in the field in terms of growth and technology and science, that history is really important. We can learn from it and we can use it to inform our decisions about how we grow moving forward. It’s so important to not eyeroll and discount all the work and the knowledge that the older people in our field have. What they know is vital for the continued growth ad the future of this field. It’s important to ask those questions and learn and build those relationships so that information isn’t lost and we can use it to our benefit. GJ: I think where the frustration comes, and among people who don’t think about this as reflectively as I do, I think this is what leads to ageism. From a frustration of, I want to help you. I really want to help the… I want to help my clients, I want to help my prospective clients, I want to help the field. Sometimes I feel that you’re just hitting this wall of resistance for god knows whatever reason other than some people just don’t feel like dealing with it. To your point that you mentioned, whether we like it or not is irrelevant. It’s simply the way life is today, it’s simply the way our patients and employees are. When you really want to help someone and they’re just like, nah, well, then, ok. We’ll do it on our own, we’ll do it over here, and we’ll win. That will be painful, that process. Do you ever feel that way? You work for an awesome practice. The people that run Vios, Angie Beltsos, Craig Polis, that team, are really forward-thinking awesome… but elsewhere in the field, have you had this frustration? I’m dealing with more practices and different strategic partners? But what has it been like for you? HJ: I think you’ve hit the nail on the head. What everyone needs to do, no matter where they are in the clinic or what their role and responsibility is, you have to ask yourself if you’re not interested in something, like what you offer, or you’ve got a new EMR that they’re trying to sell to you, or something like EngagedMD, you have to step back and figure out why your kneejerk reaction is no. Is it coming from a place of ageism or is it coming from a place of ignorance? Usually, it’s coming from a place of ignorance. And what I think is hard is that physicians in this field are so bright, and they have done so much school and worked so hard to become who they are, and they’re insanely knowledgable, and many of them are very business savvy. But I think physicians and professionals, in general, have a hard time stepping back and saying, I don’t know this or this isn’t my wheelhouse and being okay with that. It’s hard. It’s hard for all of us to admit when we don’t know something or we don’t get it. But that’s not an excuse for not adapting and changing. What you have to do is show them with numbers and facts and present why this is important and it always comes back to the patients. Because the patients want this, this is what they are telling us, each other, and we can't’ ignore it. Just because you don’t understand it or it seems like a cost that you don’t want to add to your budget, you really need to give the time to explore and understand before you make that decision. It’s really hard to step outside of our preconceived notions. When you say, no, I’m not into it, that’s not for me, that’s not necessary, we don’t need that, to come back then full circle and say, oh, this is a value add, you have to then say I was wrong. People don’t want to do that, too. People don’t want to acknowledge that they don’t know something, and they REALLY don’t want to acknowledge that they were wrong about something. If you can start at the beginning and say, you know what? This is something I want to learn more about. Rather than starting at a no and turning it into a yes, start from maybe. There’s no harm in maybe, and there are so many interesting new partners that our clinics can be working with, that when you start from maybe, it’s not always going to be a yes. But you don’t have to come from a place of no. If you don’t know exactly what it is they do or how they do it or why they do it or why you should pay for it, you should take the time to listen. While time is valuable and it takes time to do those things, there are some real value adds that had I closed my mind off to because I didn't know who they were or what they were about, we wouldn’t be as successful as we are. That’s my position-- step outside of your ego and your history and your foundation and where you’re coming from and know that there’s some amazing stuff coming down the pipeline to help our patients have phenomenal experiences. And if you can come from that place of maybe, you can find the things that suit you and will work well for your clinic. HJ: I have seen a little bit of issue in that area when you are not a physician and you… even if you’ve been working with them a long time, it’s a different mindset, and we all play our part in making sure the patient has an amazing experience but the reason I love fertility probably most of all is I love working with, in my clinic, these brilliant female physicians who are funny and they are wicked smart and they are creative and interesting and that’s what I want to harness. I want to take all of their amazing ability-- not only to get our patients pregnant, which they do a phenomenal job of, but to make our patients feel incredible, but kind of bottle that up and spread it throughout the rest of our clinic. That’s what the leaders of our field need to do. They need to look to physicians-- and physicians have to be leaders in ways that they often aren’t prepared for. It’s not like they take tons of leadership practices in medical school, but when you move into this field, there’s undoubtedly going to be a sense of leadership in leading your team. You’ve got a team that’s administrative, you’ve got the clinical team, you’ve got laboratory teams, you’ve got to marry them together and you are the face and you are the vision and you have to jump into that role. If it’s not something that you’re not comfortable with, learn it. Just like you learned how to do surgery, just like you learned all of these protocols, just like you learned reproductive endocrinology. Because then your clinic will be even more incredible. Because when you’ve got these physicians who are also business savvy and they are leaders, their clinics just thrive. HJ: *laughing* No, but I agree. I think what you have to think about is that you’re building a team and you’re building a presence in the field, whether your clinic is one location, one doctor, or 20 locations and 20 doctors. You want to build a culture and it has to adapt to the changing generations. You have to find a way to pull everyone in and keep them engaged and interested. Not every single task or event or project is going to do that for everyone. But if you at least are conscientious about it and you craft a culture that respects and engages everyone from the different generations that are in your clinic, you will survive. And it’s hard. It’s hard work to do that because you have to take a task and find a way that you can utilize the 22-year-old and the way you can utilize the 52-year-old. You want to find the ways to do that, and I think there’s a lot to be said for pairing people up when possible so they can learn from each other. When you silo the young entry-level people away from the experienced veterans, you’re doing yourself such a disservice. The veterans have so much to teach, and they might not be teaching it in a way that the young guns are used to learning, but it doesn’t mean they can’t learn. And they want to learn, to do well. Everyone comes to work wanting to do well at their job. They want to know the expectations they have for themselves and that you have for them, and they want to meet them. And if you have people who don’t want to meet them, they’re not the right fit for you. What I have found, no matter the age, no matter the generation, when you find good people, they want to do well for you, and they want to take your vision and make it better. It’s our responsibility to take that vision and that drive and find the best possible ways to apply it and know that it isn’t always going to be familiar to us, and it isn’t always going to be easy. GJ: Hannah, I could talk to you forever about this, I could talk to you for another week about it. You will be back on the show for future episodes. Thanks so much for coming on-- I love you, I love your love for the team you work with. Thank you so much for coming on our show. HJ: Oh, thanks, Griffin- I’m so excited that you’re doing this. I think it’s really important and it’s a part of the space that isn’t being addressed right now. I can’t wait to listen to the other episodes!